Chill the cubed watermelon pieces and the orange . Peel the skin of the orange, if using, and seperate the slices without any skin. Gather all the slices in a pitcher and blend well using a hand blender / blender. Extract the juice and leave the remaining. Now to that add the watermelon cubes , elaichi powder, mint leaves and the brown sugar. U may also add half a cup of almond milk along while blending. Add lemon juice if u don't have orange. 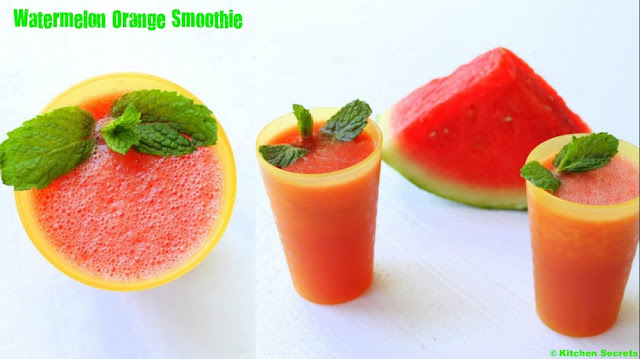 Add orange juice instead making fresh orange juice..
Beautiful pictures and wonderful presentation.thanks for linking it to my event.thank u.
change the name of the post shanavi- the watermelon-orange cooler looks refreshing ! Love it....looks extremely yum....awesome clicks.. Stunning clicks Sho.... absolutely stunning.. I think you are rocking with collage usage... Thanks for linking to Serve It - Chilled event..
Looks refreshing and healthy.. very beautiful presentation.. thanks for sharing dear !! 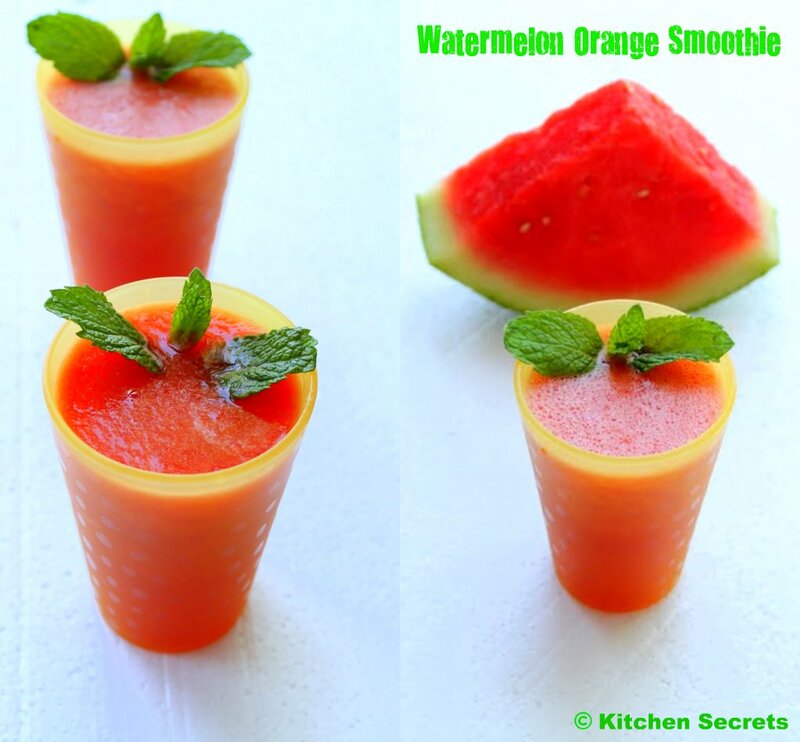 Watermelon and orange smoothie looks awesome. Nice presentation. This is a beauty..looks refreshingly delicious. Wonderful looking smoothie. Must have been very refreshing as well. Loved the color & looks extremely refreshing!!! Very refreshing drink & tempting pics! Sounds fantastic! 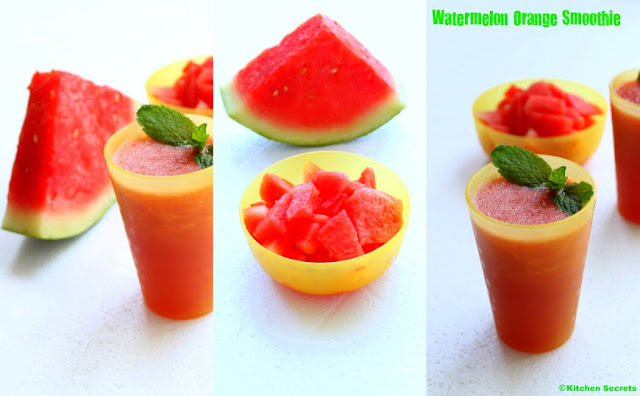 Delicious and refreshing drink..beautiful presentation dear,lovely clicks. இப்ப தான் சவி...ஆரஞ்ச event ஆரம்பித்தாங்க...அதற்குள் போஸ்டிங்க..கலக்குறிங்க..
lovely and colorful drink !! 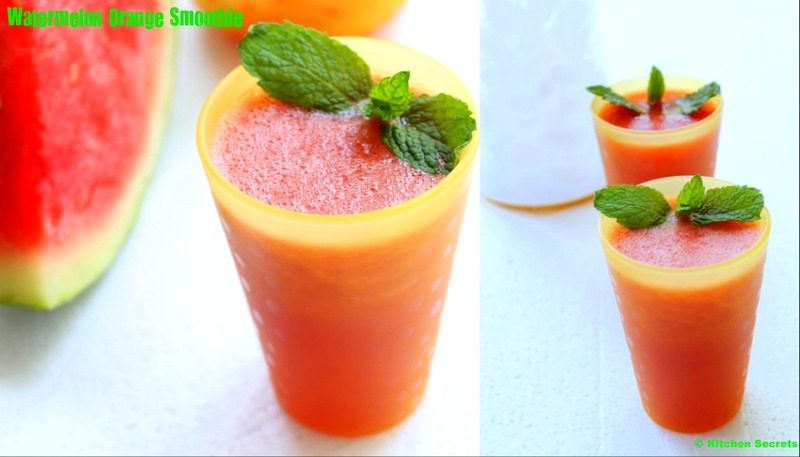 looks so refreshing and perfect for this summer !! Stunning , vibrant colors.. love it so much..thirst quenching!! love the color..very refreshing drink!! Beautiful clicks dear!!! 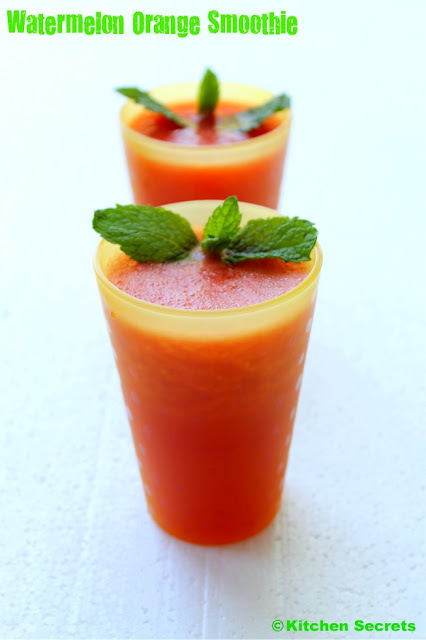 i wanna have some now..refreshing and oh look at the color..